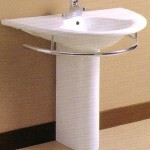 Pedestals have been the traditional choice for bathrooms across the world. 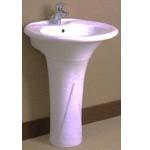 The great thing about using pedestal and basins in conjunction is that they do not limit your design choices as a matter of fact they improve the number of variations that you can come up with based on your bathroom’s design. 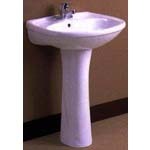 Interestingly our pedestals and basins offer an array of design choices for everyone. We make it a point to sell items which suit people of every taste or type of bathroom, so whether you are a fan on the contemporary or like the ultra modern’s curves you’re bound to find what you’re looking for at Sydney Bathroom Supply. The one thing we can all be sure of is that the traditional design and look of these bathroom necessities will perhaps always be in demand. The reason being that they fit in with almost every design and everyone likes them to say the least. The full pedestal is a classic but now we also sell a number of full pedestals that offer slight design deviations from what is seen as being traditional. The objective of these designs is to give people a design choice that helps them set their bathroom apart from the others but without having to deviate too much from their core tastes. If you want something new and trendy to grace your fresh bathroom design then why not tryout the latest Paris wall hung design basin or the semi pedestal? 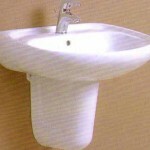 These are not only the latest but also the greatest pedestal and basins to date. Every basin is constructed using some of the best materials that money can buy in addition to ensuring that they are tested and designed to be durable guaranteeing years of service life. So, the result is that they will provide your bathroom with elegance and style for decades to come. A bathroom is a reflection of a family’s personality, taste and design sense. At Sydney Bathroom Supply we believe in providing people with all the choices they need to make the right design decisions for themselves without having to worry about factors like durability or warranty. 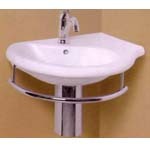 Every one of our basins and pedestals are backed by a genuine warranty so you can be assured of our support when needed. 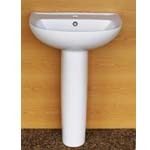 To find out more about our pedestal and basins call 02 9675 6885 or fill out or online form.